St Luke’s Home – an ecumenical church-based charity which has cared for the elderly as well as dementia and Alzheimer’s sufferers in Cork since 1872 – has started the new year by welcoming a new Director of Nursing to its management team. Neil Mackay was welcomed to his new post by the Chairman of the Board of Directors, Dr Paul Colton, Bishop of Cork, and also Mr David O’Brien, CEO of St Luke’s. The new Director of Nursing started his work at the Home on 6th January. 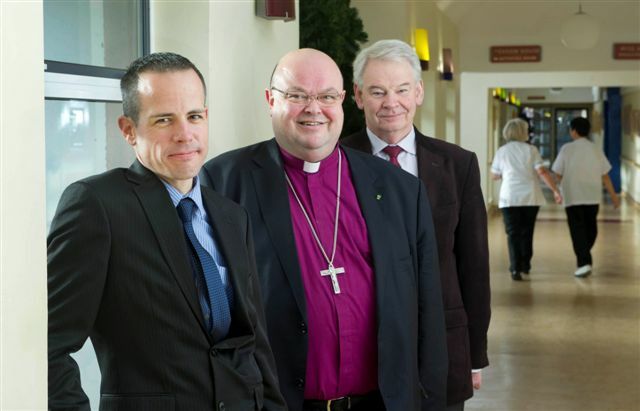 l-r Neil Mackay (Director of Nursing, St Luke’s Home, Cork) is welcomed by the Bishop of Cork, Dr Paul Colton (Chairman of the Board of Directors) and Mr David O’Brien, CEO of St Luke’s. Photo: Gerard McCarthy. Neil Mackay, RGN, BA (Hons), Dip. SHWW ~ new Director of Nursing, St Luke’s Home, Cork. Photo: Gerard McCarthy. 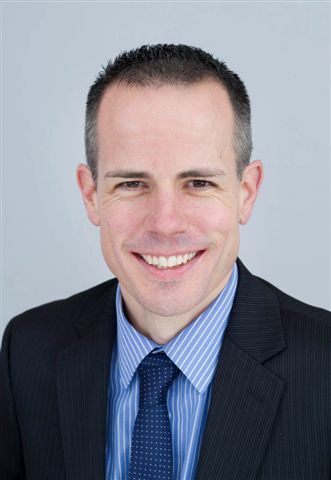 Neil Mackay qualified as a Registered General Nurse in the early 1990’s and has worked as a staff nurse in the UK and Ireland, predominantly in medical and elderly nursing. His career has also encompassed working at CNM2 level, followed by 7 years as an Assistant Director of Nursing in Cork University Hospital in varied roles managing inpatient and outpatient services with time also spent establishing the clinical governance service and working in the risk management quality department. Since 2008 he has fulfilled the role of Director of Nursing – St. Finbarr’s Hospital, Cork which comprises of a large elderly residential nursing facility, rehabilitation inpatient hospital facility for persons over 65 years and an outpatient day hospital service. Neil brings over 12 years senior nurse management experience in both elderly residential and acute hospital experience, plus in depth experience of managing all aspects of the largest dedicated elderly rehabilitation hospital and residential service in Cork and Kerry ensuring that the older adult is at the centre of all aspects of the care provided. He is married with 2 boys and a Bassett Hound! In addition, Neil is a member of Eagle Athletic Club which is a running club based in Cork city. He enjoys running distance races, running about 4 marathons per year; and he has competed in races of all distances including 2 ultra-marathons also. Over the last 130 years St Luke’s has built a strong and well-respected reputation, locally, nationally and internationally, as a leading provider of residential care and support services to older people in the Cork region. The charity’s ethos through its residential programme, nurtured by the Christian tradition of love and care, is to create a home-like environment where all residents feel safe, secure and supported. As well as the residential care facility catering for 128 residents, there is a day-care centre and the recently opened St Luke’s Home Education Centre as part of the charity’s outreach programme. St Luke’s employs approximately 280 people in the Cork area. This entry was posted in Appointments, Charities in the Diocese, Church in Society, Community Involvement, Pastoral, Saint Luke's Home. Bookmark the permalink.